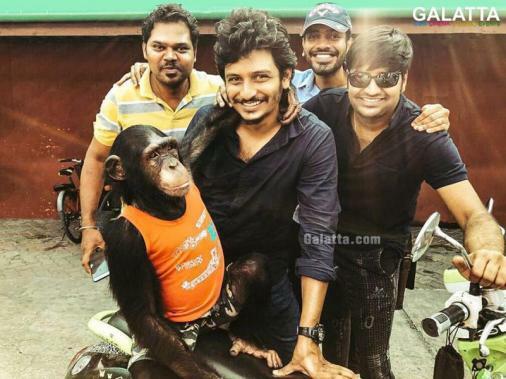 Gorilla is an upcoming action entertainer starring Jiiva, Shalini Pandey, Sathish, etc. Directed by Don Sandy and produced by All In Pictures. Music is scored by Vikram Vedha fame Sam.C.S and Teaser/ trailer expert Ruben will be doing the editing. Shooting got over in style last week and team is now active in post-production work. The production house has officially confirmed that the first look poster will be revealed on 22nd June, this Friday at 9am. >> Shalini Pandey Super Exclusive Interview Coming Soon !